Recent release “Chase in Time” from Page Publishing author Rene Len is a love story that only the magic of fiction can make possible. A little wish, an expressed interest, and the help of a shaman’s time-travel spell springboards a romance that is so unbelievable that it must be fate. 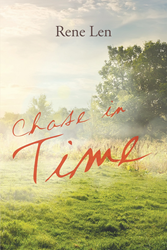 Rene Len, a great lover of books, has completed her new book “Chase in Time”: an exhilarating trip back in time to watch an exciting love story unfold between what should be an impossible pair. Published by New York City-based Page Publishing, Rene Len’s playful tale takes Allie on an outing that will dramatically change the course of her life. Obsessed with the American late 1800’s, she visits what she assumes to be an “Old West” themed attraction to satisfy her insatiable desire to learn about that time period. However, a chance encounter with a shaman who is also on the grounds results in her transportation back in time to the actual time period with which she is infatuated. Meanwhile in 1894, wealthy Texas rancher Chase finishes making his wish in the middle of a sacred clearing. Allie’s sudden appearance from her native 2014 could not possibly be a coincidence. It is a dream come true for Allie: She is now living in her cherished late 1800’s, which makes all of her research pale in comparison. However, being in love with a time period is a completely different situation than being in love with a man who is living in that time period. Readers who wish to experience this enthralling work can purchase“Chase in Time” at bookstores everywhere, or online at the Apple iTunes store, Amazon, Google Play or Barnes and Noble.